I took a lot of pictures this year. My kids also snapped a lot of photos this year. (Two people get to be the photographer a week with my old digital camera, and they get to take pictures of things that are “cool” to them.) All the pictures on my phone get automatically uploaded to Google Photos on my Google account. From Google Photos, I selected the pictures I wanted (a ton), downloaded to my laptop, and uploaded the folder into Google Drive. (Would love to know of a more efficient way of doing this). 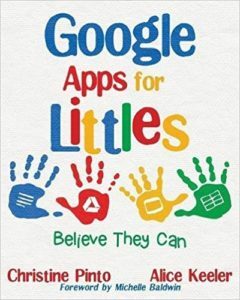 In the end, I have a link to a folder that I can share with my kids via Google Classroom. I couldn’t figure out how I wanted the kids to actually do the activity. I wondered what’s the best way for them to select their photos? 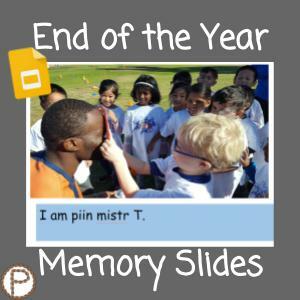 Choice A – Having 150 pictures on slides and deleting the ones you don’t want. 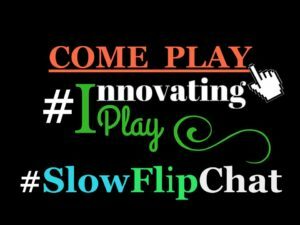 I had Alice Keeler and Matt Miller’s DriveSlides extension in mind. 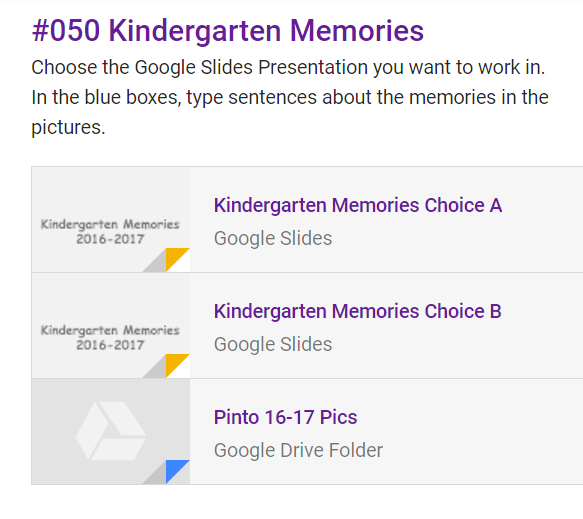 That extension will take up to 50 pictures from a folder, and automatically put them onto their own individual slides in a new Google Slides presentation. This is fantastic, because putting pictures onto slides can take forever. Since I had more than 50 pictures, this meant I had to create sub folders of 50 images and run the extension multiple times, and copy and paste the slides from multiple presentations into one. I went into the View Master, and inserted a blue subtitle place holder, so it would appear on all the slides and the kids can type their sentences. Choice B – Insert the pictures you want onto the slides. Initially the kids follow a sequence: inserting an image, selecting Google Drive, Shared with Me, double click on folder, insert picture. After doing that once, it eliminates the steps of having to select Google Drive and Shared with me (it remembers the folder the kids were inserting the images from). Since I truly couldn’t decide which way is better, I gave the kids the choice. I had a student demo both options, and let the kids decide which method works for them. More than half my class chose Choice B, to insert the pictures themselves. I included the two Google Slides templates into the assignment. I clicked on the link icon and pasted the link to the Drive Folder that had the images in it. This automatically shares the folder with the kids in Google Classroom. The kids need to click on the folder BEFORE trying to access the photos when working in Google Slides. 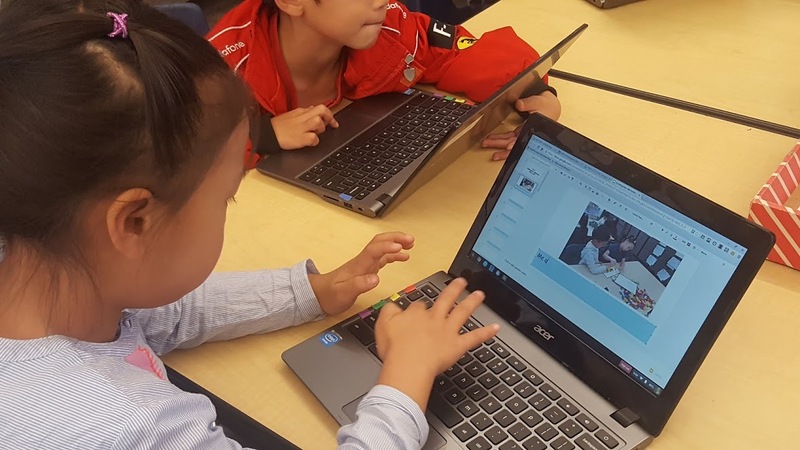 This entry was posted in Chromebook, Google Classroom, Google Slides, Kindergarten by Christine Pinto. Bookmark the permalink.